For the battle of Vienna in 1945, see Vienna Offensive. 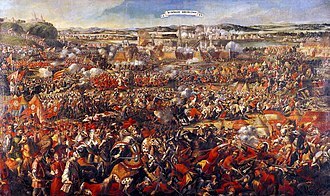 For the siege of Vienna in 1683, see Battle of Vienna. For the Hungarian conquest in 1485, see Siege of Vienna (1485). 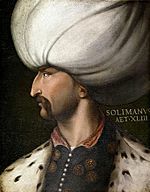 In August 1526, Sultan Suleiman I decisively defeated the forces of King Louis II of Hungary at the Battle of Mohács, paving the way for the Ottomans to gain control of south-eastern Hungary; the childless King Louis was killed. His brother-in-law, Archduke Ferdinand I of Austria, brother of Holy Roman Emperor Charles V, claimed the vacant Hungarian throne. Ferdinand won recognition only in western Hungary; while a noble called John Zápolya, from a power-base in Transylvania, challenged him for the crown and was recognised as king by Suleiman in return for accepting vassal status within the Ottoman Empire. Thus Hungary became divided into Royal Hungary and Ottoman Hungary until 1700. 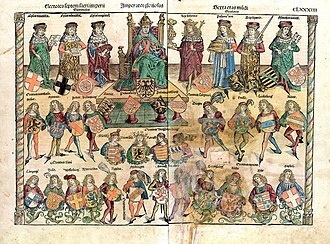 Following the Diet of Pozsony (modern Bratislava) on 26 October, Ferdinand was declared king of Royal Hungary due to the agreement between his and Louis's families, cemented by Ferdinand's marriage to Louis's sister Anna and Louis's marriage to Ferdinand's sister Mary. Ferdinand set out to enforce his claim on Hungary and captured Buda in 1527, only to relinquish his hold on it in 1529 when an Ottoman counter-attack stripped Ferdinand of all his territorial gains. In the spring of 1529, Suleiman mustered a great army in Ottoman Bulgaria, with the aim of securing control over all of Hungary and reducing the threat posed at his new borders by Ferdinand I and the Holy Roman Empire. Estimates of Suleiman's army vary widely from 120,000 to more than 300,000 men, as mentioned by various chroniclers. As well as numerous units of Sipahi, the elite mounted force of the Ottoman cavalry, and thousands of janissaries, the Ottoman army incorporated a contingent from Moldavia and renegade Serbian warriors from the army of John Zápolya. Suleiman acted as the commander-in-chief (as well as personally leading his force), and in April he appointed his Grand Vizier (the highest Ottoman minister), a Greek former slave called Ibrahim Pasha, as Serasker, a commander with powers to give orders in the sultan's name. Suleiman launched his campaign on 10 May 1529 and faced numerous obstacles from the onset. The spring rains that are characteristic of south-eastern Europe and the Balkans were particularly heavy that year, causing flooding in Bulgaria and rendering parts of the route used by the army barely passable. Many large-calibre cannons and artillery pieces became hopelessly mired or bogged down, leaving Suleiman no choice but to abandon them, while camels brought from the empire's Eastern provinces, not used to the difficult conditions, were lost in large numbers. Sickness and poor health became common among the janissaries, claiming many lives along the perilous journey. Suleiman arrived in Osijek on 6 August. 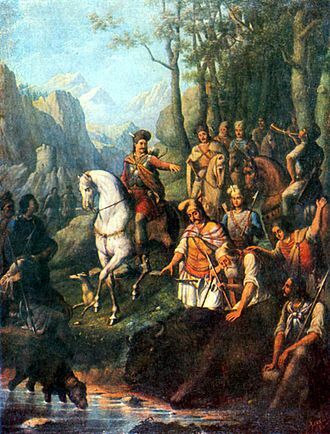 On the 18th he reached the Mohács plain, to be greeted by a substantial cavalry force led by John Zápolya (which would later accompany Suleiman to Vienna), who paid him homage and helped him recapture several fortresses lost since the Battle of Mohács to the Austrians, including Buda, which fell on 8 September. The only resistance came at Pozsony, where the Turkish fleet was bombarded as it sailed up the Danube. 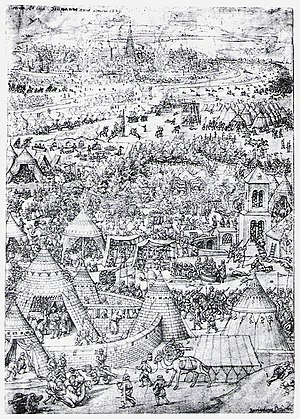 As the Ottomans advanced towards Vienna, the city's population organised an ad-hoc resistance formed from local farmers, peasants and civilians determined to repel the inevitable attack. The defenders were supported by a variety of European mercenaries, namely German Landsknecht pikemen and Spanish musketeers sent by Charles V.
The Hofmeister of Austria, Wilhelm von Roggendorf, assumed charge of the defensive garrison, with operational command entrusted to a seventy-year-old German mercenary named Nicholas, Count of Salm, who had distinguished himself at the Battle of Pavia in 1525. Salm arrived in Vienna as head of the mercenary relief force and set about fortifying the three-hundred-year-old walls surrounding St. Stephen's Cathedral, near which he established his headquarters. 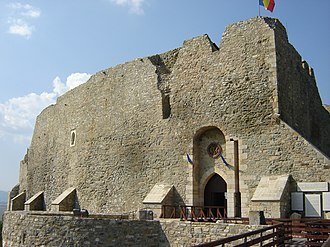 To ensure the city could withstand a lengthy siege, he blocked the four city gates and reinforced the walls, which in some places were no more than six feet thick, and erected earthen bastions and an inner earthen rampart, levelling buildings where necessary to clear room for defences. 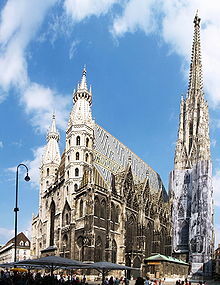 St. Stephen's Cathedral, Vienna, used as the informal headquarters of the Austrian resistance by Niklas Graf Salm, appointed head of the mercenary relief force. The Ottoman army that arrived in late September had been somewhat depleted during the long advance into Austrian territory, leaving Suleiman short of camels and heavy artillery. 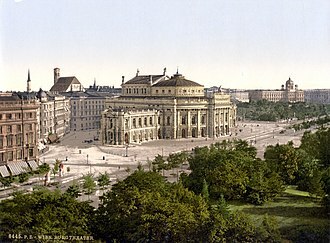 Many of his troops arrived at Vienna in a poor state of health after the tribulations of a long march through the thick of the European wet season. Of those fit to fight, a third were light cavalry, or Sipahis, ill-suited for siege warfare. Three richly dressed Austrian prisoners were dispatched as emissaries by the Sultan to negotiate the city's surrender; Salm sent three richly dressed Muslims back without a response. 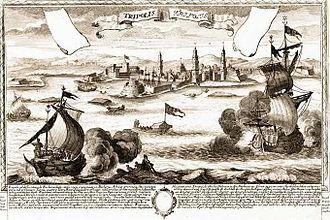 As the Ottoman army settled into position, the Austrian garrison launched sorties to disrupt the digging and mining of tunnels below the city's walls by Ottoman sappers, and in one case almost capturing Ibrahim Pasha. The defending forces detected and successfully detonated several mines intended to bring down the city's walls, subsequently dispatching 8,000 men on 6 October to attack the Ottoman mining operations, destroying many of the tunnels, but sustaining serious losses when the confined spaces hindered their retreat into the city. Depiction of German Landsknechts circa 1530, renowned mercenary infantry of the Medieval period famous for their long halberds and Zweihänder swords. More rain fell on 11 October, and with the Ottomans failing to make any breaches in the walls, the prospects for victory began to fade rapidly. In addition, Suleiman was facing critical shortages of supplies such as food and water, while casualties, sickness, and desertions began taking a toll on his army's ranks. The janissaries began voicing their displeasure at the progression of events, demanding a decision on whether to remain or abandon the siege. The Sultan convened an official council on 12 October to deliberate the matter. It was decided to attempt one final, major assault on Vienna, an "all or nothing" gamble. Extra rewards were offered to the troops. However, this assault was also beaten back as, once again, the arquebuses and long pikes of the defenders prevailed. Unseasonably heavy snowfall made conditions go from bad to worse. The Ottoman retreat turned into a disaster with much of the baggage and artillery abandoned or lost in rough conditions, as were many prisoners. Some historians[which?] 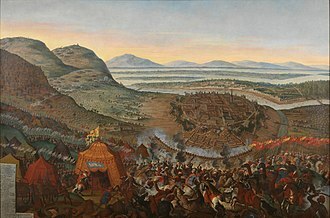 speculate that Suleiman's final assault was not necessarily intended to take the city but to cause as much damage as possible and weaken it for a later attack, a tactic he had employed at Buda in 1526. 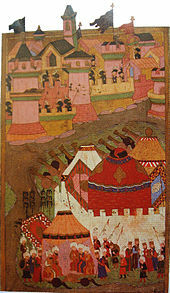 Suleiman would lead another campaign against Vienna in 1532, but it never truly materialised as his force was stalled by the Croatian Captain Nikola Jurišić during the Siege of Güns (Kőszeg). Nikola Jurišić with only 700–800 Croatian soldiers managed to delay his force until winter closed in. Charles V, now largely aware of Vienna's vulnerability and weakened state, assembled 80,000 troops to confront the Ottoman force. Instead of going ahead with a second siege attempt, the Ottoman force turned back, laying waste the south-eastern Austrian state of Styria in their retreat. The two Viennese campaigns in essence marked the extreme limit of Ottoman logistical capability to field large armies deep in central Europe at the time. The 1529 campaign produced mixed results. 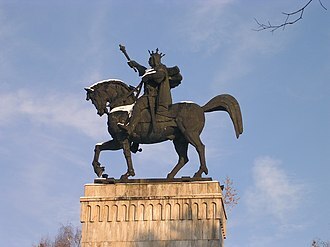 Buda was brought back under the control of the Ottoman vassal John Zápolya, strengthening the Ottoman position in Hungary. The campaign left behind a trail of collateral damage in neighbouring Habsburg Hungary and Austria that impaired Ferdinand's capacity to mount a sustained counter-attack. 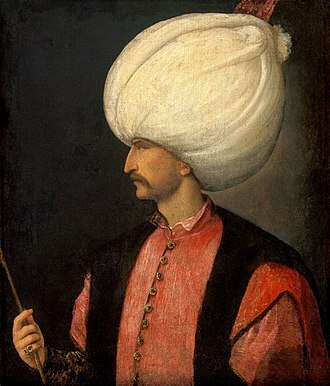 However, Suleiman failed to force Ferdinand to engage him in open battle, and was thus unable to enforce his ideological claim to superiority over the Habsburgs. The attack on Vienna led to a rapprochement between Charles V and Pope Clement VII, and contributed to the Pope's coronation of Charles V as Holy Roman Emperor on February 24, 1530. The outcome of the campaign was presented as a success by the Ottomans, who used the opportunity to show off their imperial grandeur by staging elaborate ceremonies for the circumcision of princes Mustafa, Mehmed, and Selim. Ferdinand I erected a funeral monument for the German mercenary Nicholas, Count of Salm, head of the mercenary relief force dispatched to Vienna, as a token of appreciation of his efforts. Nicholas survived the initial siege attempt, but had been injured during the last Ottoman assault and died on 4 May 1530. The Renaissance sarcophagus is now on display in the baptistery of the Votivkirche cathedral in Vienna. 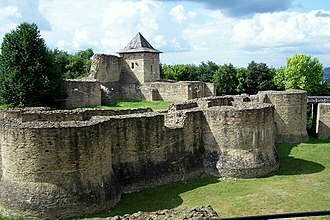 Ferdinand's son, Maximilian II, later built the Castle of Neugebaeude on the spot where Suleiman is said to have pitched his tent during the siege. ^ Shaw, Stanford J. (29 October 1976). History of the Ottoman Empire and Modern Turkey. Cambridge University Press. p. 93. ISBN 978-0-521-29163-7. Retrieved 22 September 2011. ^ Turnbull says the garrison was "over 16,000 strong". The Ottoman Empire, p 50; Keegan and Wheatcroft suggest 17,000. Who's Who in Military History, p 283; Some estimates are just above 20,000, for example: "Together with Wilhelm von Roggendorf, the Marshal of Austria, Salm conducted the defense of Vienna with 16,000 regulars and 5,000 militia." Dupuy, Trevor, et al., The Encyclopedia of Military Biography, p 653. ^ a b c It was an "afterthought towards the end of a season of campaigning". Riley-Smith, p 256; "A last-minute decision following a quick victory in Hungary". Shaw and Shaw, p 94; Other historians, for example Stephen Turnbull, regard the suppression of Hungary as the calculated prologue to an invasion further into Europe: "John Szapolya [sic] became a footnote in the next great Turkish advance against Europe in the most ambitious campaign of the great Sultan's reign." Turnbull, p 50. ^ Turnbull suggests Suleiman had "perhaps 120,000" troops when he reached Osijek on 6 August. Turnbull, p 50; Very high figures appear in nineteenth-century histories, for example that of Augusta Theodosia Drane in 1858, "more than 300,000 men"; such estimates may derive from contemporary accounts: the Venetian diarist Marino Sanuto, on 29 October 1529, for example, recorded the Turkish army as containing 305,200 men (mentioned in Albert Howe Lyber's The Government of the Ottoman Empire in the Time of Suleiman the Magnificent, p 107). Modern books sometimes repeat the higher figures—for example, Daniel Chirot, in The Origins of Backwardness in Eastern Europe, 1980, p 183, says "some 300,000 men besieged Vienna in 1529"; an alternative figure appears in Islam at War: "The sultan's army of 250,000 appeared before the gates of Vienna in the first siege of that great city", Walton, et al., 2003, p 104. ^ E. Liptai: Magyarország hadtörténete I. Zrínyi Military Publisher 1984. ISBN 963-326-320-4 p. 165. ^ a b c d e Turnbull, p 50-1. ^ Ferdinand I had withdrawn to the safety of Habsburg Bohemia following pleas for assistance to his brother, Emperor Charles V, who was too stretched by his war with France to spare more than a few Spanish infantry to the cause. ^ Şahin, Kaya (2013). Empire and Power in the Reign of Süleyman: Narrating the Sixteenth-Century Ottoman World. Cambridge University Press. pp. 79–80. ISBN 978-1-107-03442-6. ^ Entry on Salm. Dupuy, et al., p 653. Chirot, Daniel (1980). The Origins of Backwardness in Eastern Europe. ISBN 0-520-07640-0. Dupuy, Trevor N.; Johnson, Curt; Bongard, David. L. (1992). The Encyclopedia of Military Biography. I.B.Tauris & Co. ISBN 1-85043-569-3. Fisher, Sydney Nettleton (1979). The Middle East: A History (3rd ed.). Knopf. ISBN 0-394-32098-0. Kann, Robert Adolf (1980). A History of the Habsburg Empire: 1526–1918. University of California Press. ISBN 0-520-04206-9. Louthan, Howard (1997). The Quest for Compromise: Peacemakers in Counter-Reformation Vienna. Cambridge University Press. ISBN 0-521-58082-X. Lyber, Albert Howe (1913). The Government of the Ottoman Empire in the Time of Suleiman the Magnificent. Harvard University Press. Murphey, Rhoads (1999). Ottoman Warfare 1500–1700. Rutgers University Press. ISBN 0-8135-2685-X. Riley-Smith, Jonathan. The Oxford History of the Crusades. Oxford University Press. ISBN 0-19-280312-3. Spielman, John Philip (1993). The City and the Crown: Vienna and the Imperial Court. Purdue University Press. ISBN 1-55753-021-1. Toynbee, Arnold (1987). A Study of History. Oxford University Press. ISBN 0-19-505080-0. Turnbull, Stephen (2003). The Ottoman Empire: 1326–1699. Osprey Publishing. ISBN 1-84176-569-4. Tracy, James D. (2006). Europe's Reformations: 1450–1650. Rowman and Littlefield. ISBN 0-7425-3789-7. Walton, Mark W.; Nafziger, George. F.; Mbanda, Laurent W. (2003). Islam at War: A History. Praeger/Greenwood. ISBN 0-275-98101-0. Wheatcroft, Andrew (2009). The Enemy at the Gate: Habsburgs, Ottomans, and the Battle for Europe. Basic Books. ISBN 9780465013746. The Battle of Vienna took place at Kahlenberg Mountain near Vienna on 12 September 1683 after the imperial city had been besieged by the Ottoman Empire for two months. 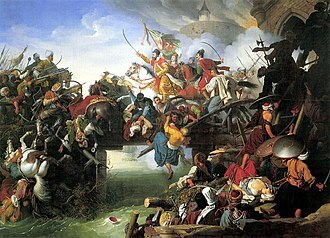 In the ensuing war lasted until 1699, the Ottomans lost almost all of Hungary to the Holy Roman Emperor Leopold I. The Viennese garrison was led by Ernst Rüdiger Graf von Starhemberg, the overall command was held by the senior leader, the King of Poland, John III Sobieski, who led the relief forces. The opposing military forces were those of the Ottoman Empire and Ottoman fiefdoms commanded by Grand Vizier Merzifonlu Kara Mustafa Pasha, the Ottoman army numbered approximately 90, 000–300,000 men. They began the siege on 14 July 1683, the Ottoman forces consisted, among other units, of 60 ortas of Janissaries with an observation army of c.70,000 men watching the countryside. 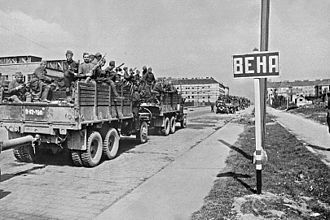 The decisive battle took place on 12 September, after the relief army had arrived. Historians suggest the battle marked the point in the Ottoman–Habsburg wars. In fact, during the 16 years following the battle, the Austrian Habsburgs gradually recovered and dominated southern Hungary and Transylvania, the battle is noted for including the largest known cavalry charge in history. 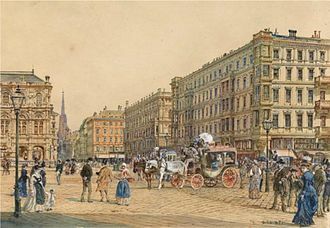 Capturing the city of Vienna had long been an aspiration of the Ottoman Empire, because of its interlocking control over Danubian southern Europe. Since 1679 the plague had been raging in Vienna, on the political front, the Ottoman Empire had been providing military assistance to the Hungarians and to non-Catholic minorities in Habsburg-occupied portions of Hungary. There, in the preceding the siege, widespread unrest had become open rebellion against Leopold Is pursuit of Counter-Reformation principles. In 1681 Protestants and other anti-Habsburg Kuruc forces, led by Imre Thököly, were reinforced with a significant force from the Ottomans and this support included explicitly promising the Kingdom of Vienna to the Hungarians if it fell into Ottoman hands. Yet before the siege, a state of peace had existed for 20 years between the Holy Roman Empire and the Ottoman Empire as a result of the Peace of Vasvár. As in 1540 Suleiman the Magnificent was preparing a land campaign in Hungary, the Ottoman navy was however short of means and it could not take the field. Dragut started his cruise by capturing five Venetian galleys off the island of Paxos, the Venetians could not retaliate, as they signed a peace treaty with the Sultan shortly afterwards. Andrea Doria himself sailed from Messina to Tunis in late April ahead 55 galleys, Barbarossas lieutenant had moved faster. It was Gianettinos and Requesens squadron which found the trail of Draguts galleys, the Ottoman squadron was first reportedly seen off Bonifacio and later, when Dragut attacked the island of Capraia, the cannonade was heard aboard the Genoese and Spanish galleys. Fishermen who had fled from the Ottomans warned Doria and Requesens that Dragut had sailed to Cape Corso and, the Ottoman squadron had set anchor at the Gulf of Girolata to distribute the booty from the recent raid. Dragut had chosen the place because it was deserted and far from the sailing routes. As such, he left no ship to guard the entrance of the gulf, on arriving in the waters nearby, Gianettino Doria sent his relative Giorgio Doria into the gulf with 6 galleys and a small rowing frigate in order to identify the anchored galleys. Accounts of the battles course differ, at the first shots, many of his men, whether Turks, Moors or Christian renegades, jumped overboard to escape inland. Alberto Guglielmotti gives a detailed account of the battle. 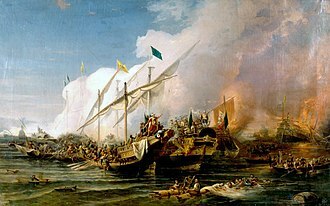 Expecting to fight with superior numbers, Dragut sailed into the ambush laid by Doria and Requesens, Dragut tried to escape by turning around his ships, but as the Christian galleys came under his stern, he decided to try to break through them. Then, however, a shot from Gianettinos galley bow gun inflicted serious damage to his flagship that she nearly sank. 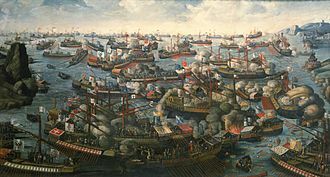 Losing hope about the prospect of escaping, most of the Ottoman seamen and soldiers jumped overboard to gain the beach, the Christian fleet captured all 11 Ottoman galleys, two of which were the Venetian Moceniga and Bibiena, which the Ottomans had captured at the Battle of Preveza.